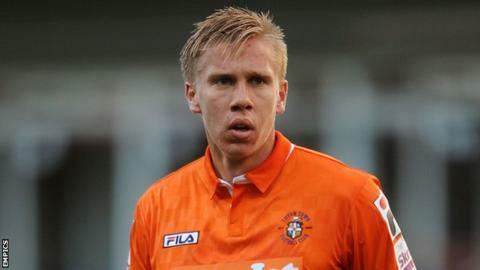 Aldershot have signed midfielder Jim Stevenson on a month's loan from League Two club Luton Town. The 22-year-old has made 12 appearances for Luton this season, but only two of them starts, and he will be with the Shots until 21 February. Stevenson is available to make his debut in Tuesday's home Conference game against Kidderminster Harriers. He played 21 games for Dartford during a previous loan spell in the second half of last season.